Lee Andrews & the Hearts was an American doo-wop quintet from Philadelphia, Pennsylvania, United States, formed in 1953. They recorded on the Gotham, Rainbow, Mainline, Chess, United Artists, Grand and Gowen labels. 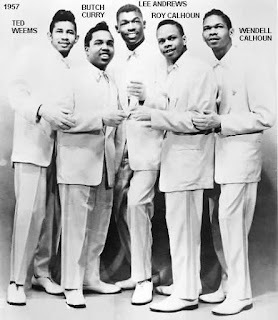 Managed by Kae Williams, in 1957 and 1958 they had their three biggest hits, "Teardrops", "Long Lonely Nights" and "Try the Impossible". Lee Andrews (b. Arthur Lee Andrew Thompson) was raised by a musical family in Goldsboro, NC. His father, Beechie Thompson, sang with the Dixie Hummingbirds. The Thompson family soon moved to Philadelphia, PA, when little Arthur Thompson was two. 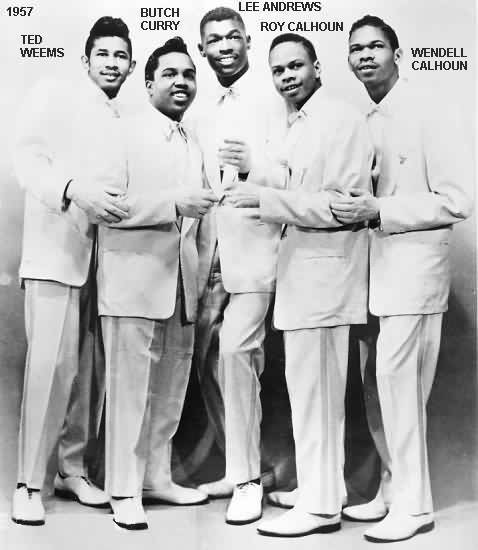 By the time he was a student at John Bartram High School in 1952, Thompson had begun singing with four friends: Royalston "Roy" Calhoun (first tenor), Thomas "Butch" Curry (second tenor), James "Jimmy" McCalister (baritone), and John Young (bass). The quintet -- from the neighborhood of 49th and Woodland in South Philly -- first began calling themselves the Dreams and later, the Dreamers. It was here that they learned there was already an act calling themselves the Dreamers and it was Jimmy McCalister who came up with the Hearts after spying a small plastic heart on a secretary's desk -- actually Heller's wife. Since Thompson was to be featured on as the group's leader, he began shuffling his names around to come up with something he felt would sound better -- and read better on the labels -- than Arthur Thompson and the Hearts. He finally settled on calling himself by his two middle names and thus the name Lee Andrews & the Hearts was finally born. Eventually, Andrews went into semi-retirement and opened a successful dress shop. In a 1971 interview he stated that he formed a new group called First Born and they were in the process of recording for Columbia, though no such record release ever took place. 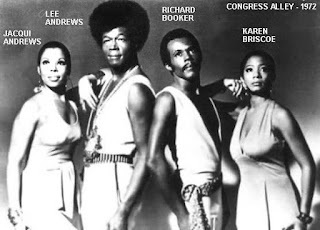 Andrews later re-emerged at the urging of producer friend Billy Jackson (the Tymes), who knew Lee's interests were now leaning in a 5th Dimension-style direction. Together, they formed Congress Alley with Booker, Jackie Andrews (Lees wife), and Karen Brisco. This group managed two singles and an LP for Avco Embassy, but the releases weren't successful. In 1981, Collectible Records unearthed the original first studio session tapes from Gotham and issued three singles, including yet another version of "Long Lonely Nights" which was lyrically different from the hit song, with just a piano accompaniment and crystal-clear harmonies. The oldies circuit revival of the '70s provided momentum for Lee to form one more Hearts, this one a family affair with Lee, his wife Jackie, son Ahmir, and daughter Dawn. 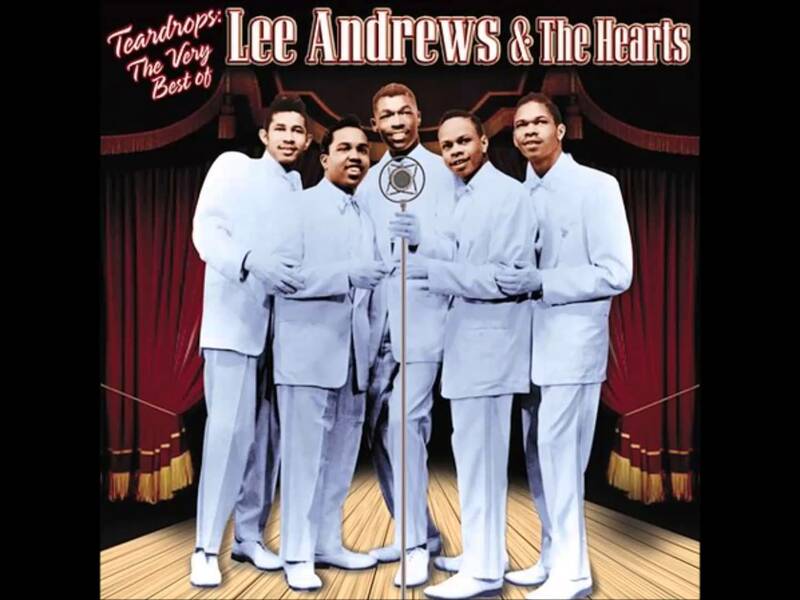 Lee Andrews was born Arthur Lee Andrews Thompson, in 1936, in Goldsboro, North Carolina. He was the father of Amhir 'Questlove' Thompson and the son of Beachy Thompson of the gospel music group, The Dixie Hummingbirds. He died on March 16, 2016. Parts of this bio was taken from All-Music. You can read the full bio here. May 9 Battle of the Bands! before the 8th to make your vote count.